David Cameron used a visit to Turkey to make his strongest intervention yet in the intractable Middle East conflict today when he likened the experience of Palestinians in the blockaded Gaza Strip to that of a “prison camp”. Although he has made similar remarks before, his decision to repeat them on a world stage in Turkey, whose relations with Israel have deteriorated sharply since it mounted a deadly assault on the Gaza flotilla, gave them much greater diplomatic significance. Cameron’s comments, in a speech to business leaders in Ankara, prompted the Turkish prime minister, Recep Tayyip Erdogan, to issue another strong condemnation of how Israel dealt with the flotilla. Erdogan likened the behaviour of Israeli commandos, who shot dead nine Turkish pro-Palestinian activists, to Somali pirates. At the press conference, Erdogan heaped further criticism on Israel over its treatment of the flotilla. “What we saw happening was taking place in international waters and this attack in international waters, as such, can only be termed as piracy. There is no other way to describe it. After Cameron made his remarks, Ron Prosor, the Israeli ambassador to London, blamed the Palestinians’ situation on Hamas, the Islamist regime that controls the Gaza Strip. “The people of Gaza are the prisoners of the terrorist organisation Hamas. The situation in Gaza is the direct result of Hamas’ rule and priorities. Ephraim Sneh, the former Israeli deputy minister of defence, said: “Cameron is right – Gaza is a prison camp, but those who control the prison are Hamas. I’m totally against the double standards of a nation which fights the Taliban but is showing its solidarity with their brothers, Hamas. Also during his speech, Cameron challenged France and Germany over their opposition to Turkish membership of the EU. In a passionate defence of Turkey, the prime minister accused Paris and Berlin of double standards for expecting Ankara to guard Europe’s borders as a Nato member while closing the door to EU membership. His tough language reflects Britain’s frustration that Ankara’s EU membership negotiations have stalled since they were formally opened in 2005. Turkey’s involvement in the Cyprus dispute and its refusal to open its ports to Greek Cypriot goods are holding up the talks. 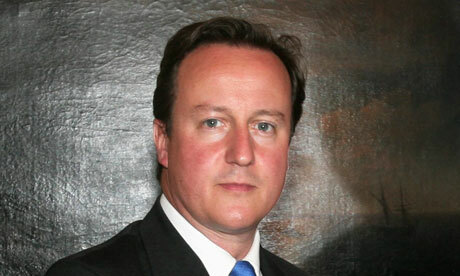 Cameron also said Turkey should use its links with Iran to persuade Tehran to abandon its nuclear weapons programme. Turkey is to abide by new UN sanctions, agreed last month, which are focused on individuals and companies linked to Iran’s nuclear and missile programmes. But it will not implement wider US and EU restrictions on banks, and wants to deepen trade links with Iran. The prime minister said Turkey’s special place, as a bridge between east and west, gave it a key role with Iran. “It’s Turkey that can help us stop Iran from getting the bomb,” he said. Iran reached an agreement in May with Turkey and Brazil to export 1,200kg of low-enriched uranium in return for fuel rods for a civilian reactor. The prime minister said he hoped this understanding could help “see Iran move in the right direction”. The prime minister is on a four-day visit to Turkey and India. Cameron laid a wreath at Anitkabir, the mausoleum of Mustafa Kemal Atatürk, the father of modern secular Turkey, before delivering his address. This afternoon he will fly to India.